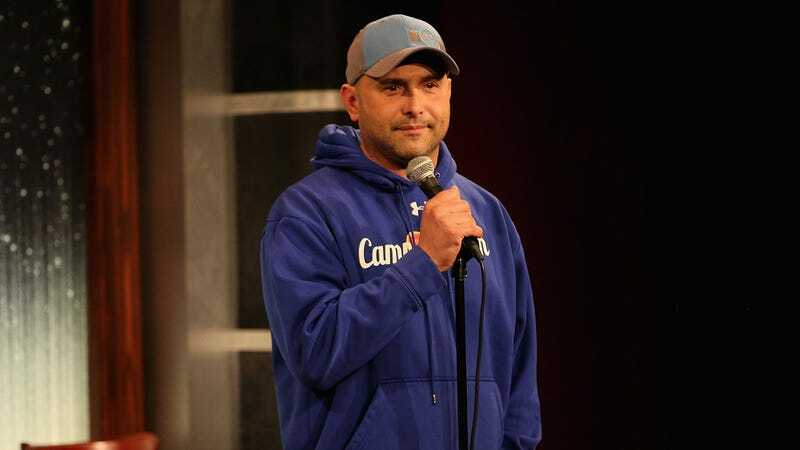 Radio personality Craig Carton, who co-hosts the Boomer & Carton show on WFAN and CBS Sports Network, has been arrested as part of an alleged fake ticket scam that netted $2 million, NBC 4 New York reports. Per the station’s Jonathan Dienst, FBI agents picked up the 48-year-old Carton at his Manhattan home earlier this morning. Dienst reports that Carton and another man are accused of defrauding investors in a discount ticket broker business that did not, in reality, exist. Carton has hosted the show with former Bengals quarterback Boomer Esiason since 2007; Boomer & Carton has been simulcast on television since 2010. The show, which is airing right now, hasn’t addressed the arrest. It opened with Esiason saying Carton was “under the weather” and a guest host would be filling in. Update (11:00 a.m. ET): “Not easy,” Boomer Esiason said after acknowledging his co-host’s arrest on air earlier this morning. Esiason said it came as a shock to him, and that WFAN was cooperating with authorities.